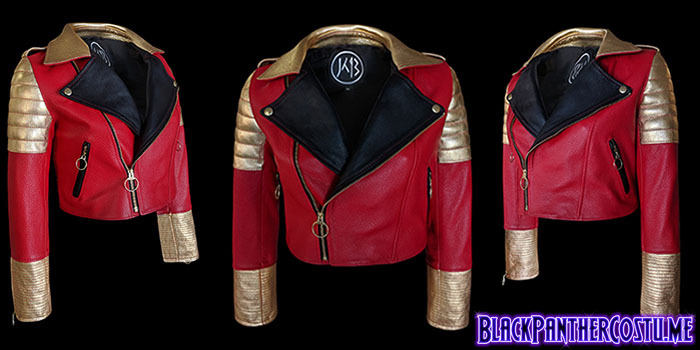 Dora Milaje-inspired Cropped Leather Moto Jacket. Feel like a super woman with this eye-popping design. Features padded gold shoulders and golden ring zipper pulls. Please enter email address below to find out when this jacket is available.